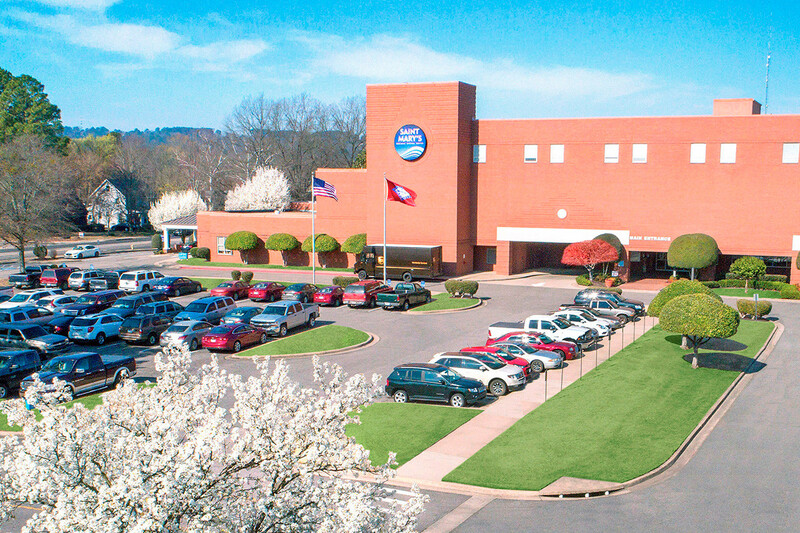 A major part of the Russellville landscape since its inception in 1925, Saint Mary’s Regional Medical Center is a 170-bed, full-service acute care facility. It is the area's leading health care provider with a medical staff of 100 physicians and advanced practitioners who represent 18 specialties. The hospital provides a range of health care services that include cardiac catheterization, surgery, diagnostic radiology, cancer treatment, rehabilitation therapy, women’s and children’s services and 24-hour emergency services. In 2017, Saint Mary’s made the commitment to become a Highly Reliable Organization (HRO). All staff, including hospital and physician staff, were trained in a number of safety behaviors involving the application of tools that promote safer care and are applicable throughout the facility. For several years, Saint Mary’s has participated in voluntary benchmarking activities to measure its processes and outcomes against established standards as well as the performance of other hospitals. It participates in the Centers for Medicare/Medicaid Services (CMS) Inpatient and Outpatient Quality Reporting Initiatives, the Hospital Consumer Assessment of Healthcare Providers and Systems (HCAHPs), the Joint Commission’s ORYX Performance Measurement System and the Arkansas Inpatient Quality Initiative. Saint Mary’s Emergency Department (ED) continues to be recognized for its ability to deliver emergency trauma services at the Level III care standard. The designation as a Level III Trauma Care Facility, awarded by the Arkansas Department of Health, is based on an annual, in-depth facility visit where processes, procedures, and overall care of patients who come to the Emergency Department with trauma injuries are reviewed. The hospital has consistently earned the certification each year since the inception of the designation. As of July 2018, Saint Mary’s has been providing full time access to immediate lifesaving care and treatment of victims suffering a sudden onset heart attack. St. Mary’s is actively working with a vendor to increase its horizontal footprint to expand behavioral health services and incorporate private rooms into the facility master plan. The hospital foresees a future that involves the expanded use of telemedicine — clinical care facilitated through the use of video-enabled real time conversations with medical professionals.